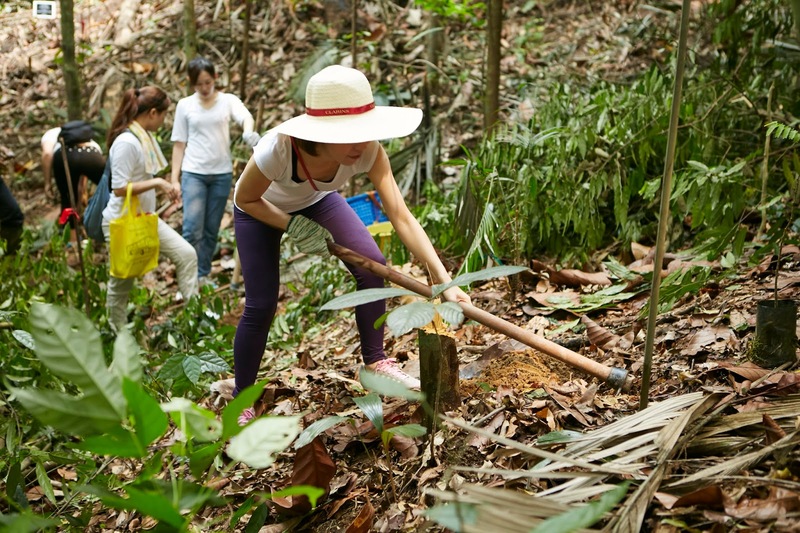 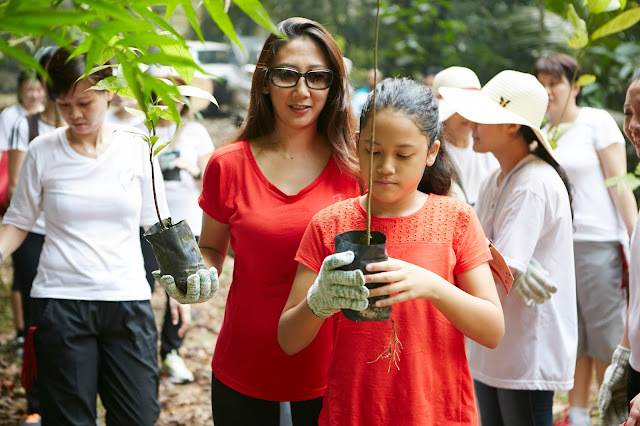 To visualize Clarins lifelong mission in creating beautiful world for future generation, Clarins together with their Top 40 Green Angels customers planted 40 fruit trees in Forest Research Institute Malaysia (FRIM) during Earth Day recently to inspire and raise public awareness towards appreciating the natural surrounding environment and to reduce carbon footprints. 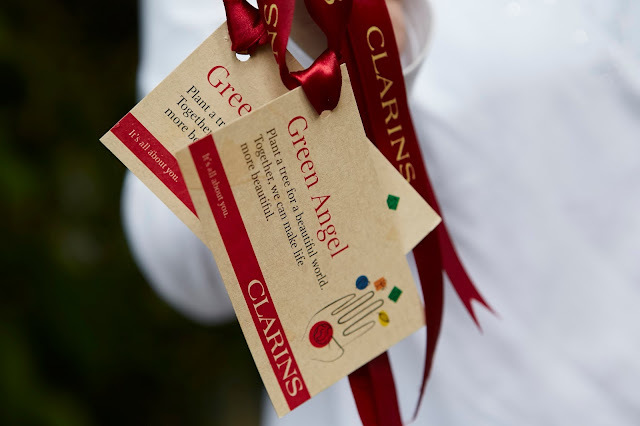 The Green Angels campaign happened between 1st March 2015 to 30th April 2016 aimed to encourage Clarins customers to recycle. Empty jars, bottles, cartons were collected in participate Clarins Skin Spas during that period and the Top 40 recyclers were rewarded and get a tree planted on behalf of them to represent their dedication in nurturing the nature. On the Earth Day itself, Clarins team with a number of their customers started their Green Angels journey with a short welcome address by Gillian Tyo, General Manager of Clarins Malaysia & Singapore followed by FRIM before taking a 40 minutes walk to Taman Bidara trail where the tree planting event will take place later on. 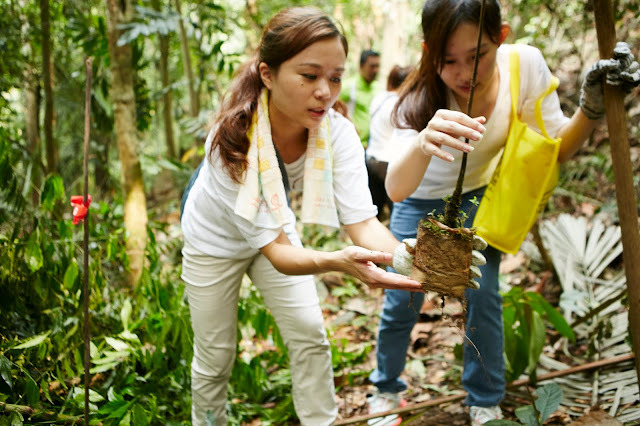 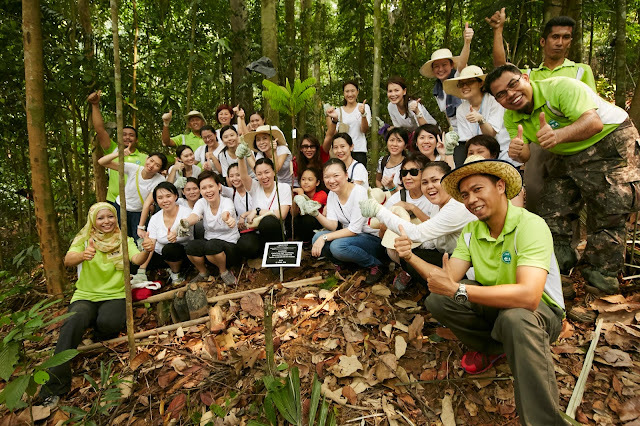 Soon after that, each winner was presented with a tree certificate as a symbolic gesture to reward their commitment to protect nature and helping Clarins run a greener operation in Malaysia. As a brand that believe in giving back to the nature, Clarins practice the 3R principles; Reduce, Reuse, Recycle and of course Replant to minimize the impact on the environment generally and out beautiful land specifically.